It has been a while since I posted, so it’s time for an update. 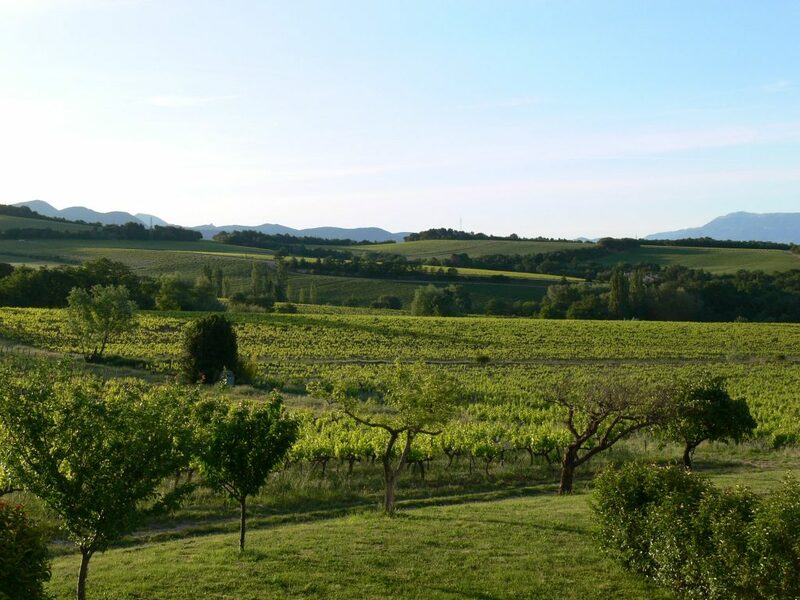 As you can see from the shot above with the first early morning rays of sun falling across the Domaine l’Ancienne Ecole vines, they are growing well. No matter how on top of the vines you think you are in April, the speed of the growth of the vines in May and June, means that you are always running to catch up on the vineyard work and a flat tyre on the tractor didn’t help! The weather is set hot and sunny for the next week so the vines are going to keep growing fast and should be flowering in the next few days.